Tampa, Florida. After receiving his medical degree at St. Louis University School of Medicine, he completed his 3 years of Internal Medicine and 2 years in Allergy and Immunology at the University of South Florida in Tampa. He joined the faculty at USF in the Division of Allergy and Immunology. He was recognized for his 30 years of service to USF College of Medicine and to the Tampa VA Department of Medicine. He is a Fellow in the American College of Physicians and the American Academy of Allergy, Asthma and Immunology. He has been elected as The Best Doctors in America for the past decade. He serves as the Director of A/I Fellow Training, and he has trained 75 Allergy/Immunology Fellows. He has an extensive list of contributions in the literature, and presentations at local, national and international meetings. 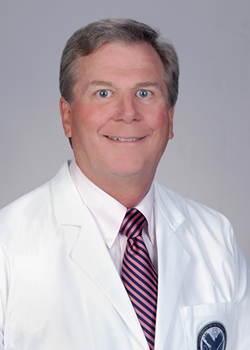 He has been on various boards including the Hillsborough County Medical Association and Florida Allergy Asthma and Immunology Society and many committees in the Academy of Allergy, Asthma and Immunology. 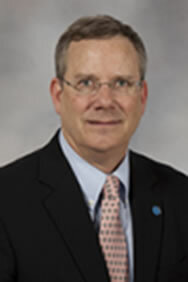 Past President, American Board of Dermatology Robert T. Brodell, MD is tenured Professor and Chair of the Department of Dermatology and Professor in the Department of Pathology at the University of Mississippi Medical Center. He worked with a dedicated team of faculty to found the Department of Dermatology and establish a residency training program in dermatology in 2012. It currently boasts 11 resident physicians; fellowship trainees in dermatopathology and Mohs Surgery; 10 faculty; 5 nurse practitioners; and, sees patients in 5 offices. All of this was designed to improve the access to dermatologic care in a state that has half the number of dermatologists per capita average in the United States.